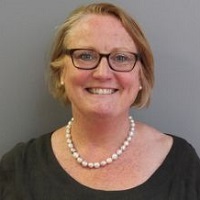 Professor Julienne Meyer CBE is a registered nurse and qualified teacher, who leads Research and Development in Care for Older People at City, University of London. Julienne uses collaborative approaches to bring about whole systems change and reflect on the lessons learnt from attempts to improve practice. Her style of working is evidence-based, relationship-centred, appreciative, and action oriented. Over the last 20 years, she has worked in a variety of different settings (health, social care, and housing; general and mental health; primary, secondary and tertiary care) and across a number of traditional boundaries (public and private; policy and practice; research and education). She is best known for her work in care homes and is Executive Director of My Home Life Programme (MHL) a UK-wide initiative to promote quality of life for those living, dying, visiting and working in care homes for older people (www.myhomelife.org.uk). MHL is led by City, University of London in collaboration with Age UK and has the support of the Relatives and Residents’ Association and all the national provider organisations that represent care homes across the UK. Julienne has an international reputation for expertise in action research, qualitative methods and aged care. She is Vice Chair of the Global Ageing Network and holds Visiting Professorships with the University of South Australia and Griffith University, Australia. She is a member of the International Scientific Advisory Committee for Translating Research into Elder Care (University of Alberta) and Better Health for Residents in Care Homes (University of Bradford. Nationally she is the Co-ordinator of the National Care Home Research and Development Forum, was an invited commissioner on the Commission for Residential Care and Commission of Hospital Care for Frail Older People, and is currently collaborating with the King’s Fund on their Care homes, housing, health and social care: learning network. The pioneering work of the University of London regarding women’s education continues. Given the extraordinary reach of the University of London and its member institutions, we can generate debate around the issue of gender equality and to actively provide opportunities for the next generation of women. a) made achievements in public life and b) committed themselves to serving and helping Britain. They’ll usually have made life better for other people or be outstanding at what they do. They must still be actively involved in what you’re nominating them for. Whether someone gets an honour - and the honour they get - is decided by an honours committee. The committee’s recommendations go to the Prime Minister and then to the Queen, who awards the honour. A CBE is awarded for having a prominent but lesser role at national level, or a leading role at regional level. You can also get one for a distinguished, innovative contribution to any area. Nursing Times (NT) annually lists the country’s most inspirational nursing leaders at a reception in London. The individuals come from all aspects of the nursing profession including frontline patient care, management, research and academia, national organisations and charities. They include nurses and midwives at all career stages from the recently qualified to a retired nurse who now serves in the House of Lords as a crossbench peer. Nominees are judged on the impact of their work on nursing policy, practice or care; their influence on and understanding of how health and social care fit together; the sustainability of their achievement and the extent to which they act as role models for others. Quality improvement in care homes is complex due to the need to transcend a number of traditional boundaries (health and social care; general and mental health; public and private; acute, secondary and tertiary settings). There are over 18,000 care homes (75% privately owned) across the UK caring for approximately 400,000 older people (x3 more beds than NHS). Due to national policies that focus on ageing in place, older people are going into care homes later and sicker. They represent some of the most vulnerable citizens in our society. They often have complicated health and social care needs, resulting from multiple long-term conditions, with significant levels of disability and frailty (for instance, 2/3rds of residents have dementia). However, residents are being cared for by a predominantly social care workforce that is poorly paid, with low level or no educational qualifications. Care homes are often described as 'islands of the old', disconnected from their local communities and the wider health and social care system. They are negatively and inappropriately portrayed by the media and not valued for the vital role they play in caring for older people who are too frail to live at home and are at end of life. Given these changing demographics, it is widely acknowledged that care homes need support to improve standards of care; this is the focus of the My Home Life initiative (www.myhomelife.org.uk). To do this, the MHL team engage in three main areas of work: research and development, enterprise activities and social action. - City Bridge Trust: My Home Life London, £297,421, 2010 to 2013. - Brighton and Hove County Council: My Home Life Brighton and Hove, £17,800, 2010 to 2011. - Kent County Council: My Home Life Kent, £40,000, 2010 to 2012. - Dorset County Council: My Home Life Dorset, £16,000, 2010 to 2011. - Leeds County Council: My Home Life Leeds, £16,000, 2010 to 2011. - Medway County Council: My Home Life Medway, £17,800, 2010 to 2011. - DH National End of Life Programme: End of Life Dissemination Project, £13,692.00, 2010 to 2010. - Essex County Council: MHL Essex website, £8,570, 2010 to 2010. - Essex County Council: MHL Essex Voice Choice and Control, £25,000, 2010 to 2011. - National Council of Palliative Care: Essex End of Life Case Study Project, £10,047.36, 2010 to 2010. - British Geriatrics Society: BGS Care Home Project, £20,280, 2010 to 2010. - Department of Health: Living with Dementia Dissemination Project, £40,000, 2010 to 2010. - Haringey Primary Care Trust: Dignity in Care Project, £11,000, 2010 to 2011. - Fremantle Trust: Clinical Supervision Project, £6,750, 2010 to 2011. - Royal Hospital Chelsea: Nursing Leadership, £3,600, 2010 to 2011. - Essex County Council: My Home Life Essex Phase II Project, £75,097, 2010 to 2012. - Joseph Rowntree Foundation: Residential and Nursing Care Project, £305,419, 2009 to 2012. - Derbyshire County Council: My Home Life Derbyshire, £25,722, 2009 to 2010. - Essex County Council: My Home Life Essex, £24,714, 2009 to 2010. - Bristol County Council: My Home Life Bristol, £30,320, 2009 to 2010. - Social Care Institute for Excellence: Managing Risk and Minimising Restraint, £20,590, 2009 to 2009. - Department of Health: My Home Life Third Sector Investment Project, £174,686, 2009 to 2012. - Department of Health: My Home Life/Let's Respect Project, £40,000, 2009 to 2010. - Department of Health: Dementia Care Strategy Bulletins, £5,000, 2009 to 2010. - Abbey Total Care: Abbey Total Care Project, £30,000, 2009 to 2010. - Haringey Primary Care Trust: Haringey Dignity Project, £28,000, 2009 to 2010. - Barts and the London NHS Trust: Ward Sister Project, £28,603, 2009 to 2010. - Department of Health: My Home Life Third Sector Plus Investment Project,, £128,247, 2009 to 2012. - Royal Free Hampstead NHS Trust, Barnet and Chase Farm Hospitals NHS Trust: Leadership in Dignity Project, £500,000, 2008 to 2010. - Wiltshire Local Authority: My Home Life Wilstshire, £36,421, 2008 to 2010. - European Union: PROGRESS Project, £24,155, 2008 to 2010. - Burdett Trust for Nursing: Best Practice for Older People Project, £108,179, 2008 to 2009. - Burdett Trust for Nursing: Older People in A&E Project, £7,200, 2008 to 2008. - Help the Aged, BUPA Giving: My Home Life Programme, £279,551, 2007 to 2009. - City University: Ageing and Loneliness (UK arm of international study - Australia, Japan, Norway, South Africa, UK), 2006 to 2007. - NHMRC, Australia: Nurses, older people and hospitals: meeting new challenges, $455,750, 2005 to 2007. - Help the Aged: Realising the Vision: Quality of Life in Care Homes, £25,000, 2005 to 2006. - London Patient Advice and Liaison Services (PALS), £6,000, 2005 to 2006. - North East London Workforce Development Confederation: Partnership with Care Homes Project, £250,000, 2003 to 2008. - London NHSE O&M R&D Committee: Learning the Lessons from PALS: A qualitative evaluation of London Patient Advice & Liaison Services and development of acceptable user-centred assessment criteria for this service., £151,952, 2003 to 2005. - Barts and The London NHS Trust: Introduction of a ward based medical team system within a General and Emergency Medicine Directorate, £67,054, 2001 to 2003. - Barts and the London NHS Trust: An action research study on the co-ordination of interprofessional care, £59,053, 2001 to 2003. - SNMAC, Department of Health: Caring for Older People: A Nursing Priority, £9,000, 2001 to 2002. - Central and East London Education Consortium: CELEC Action Research Project: Care for Older People, £1,081,008, 2000 to 2003. - Lambeth and Soutwark and Lewisham Health Authority: Hospital Discharge Project, £105,000, 2000 to 2002. - Epsom & St Helier NHS Trust: The Experience of Care of Older End-Stage Renal Patients In Receipt of Long-Term Dialysis, £20,186, 2000 to 2002. - Forest Healthcare NHS Trust: Evaluation of a Hospital Day Ward Commissioned Study, £15,184, 2000 to 2000. - Forest Healthcare NHS Trust: Older people's use of A&E, £18,000, 1998 to 1999. - The Homerton Hospital NHS Trust: Improving the Rehabilitation Care of Older People, £31,738, 1998 to 1998. - North Thames NHSE: Defining the Nursing Contribution, £6,000, 1998 to 1998. - DoH Building Partnerships for Success: Community Care Development Programme & DoH Social Care Division (project extension): Working with and for older people to promote seamless care, £99,947 + £35,000, 1997 to 2000. - Forest Healthcare NHS Trust: An Action Research Study into the Organisation of Care for Older People in the A&E Department, £60,800, 1997 to 1998. - CAIPE: Interprofessional Education in Wales, £14,260, 1997 to 1997. - Health Policy and Public Health Directorate of LSLHA: Exploratory Study to Describe the Progress of Elderly Individuals Placed under Band 1 of Lambeth, Southwark and Lewisham Health Authority Continuing Care Guidelines, £9,000, 1997 to 1997. Thesis title: Inside the Black Box: Creating Excellence in Stroke Care through a Community of Practice. Thesis title: Do they make a difference? Exploring the fitness for practice, supervision and impact on patient care of health care assistants’ work. Thesis title: The nurse’s role in promotion the involvement of older users and carers in the assessment of their continuing health and social care needs. Thesis title: Moral Silence? Ethical issues in cancer nursing practice. Thesis title: The socialisation of students into nursing through a project 2000 course. Froggatt, K., Davies, S. and Meyer, J. (2009). Understanding Care Homes A Research and Development Perspective. Jessica Kingsley Publishers. ISBN 978-1-84310-553-4.
Cooper, J. and Meyer, J. (2015). Action Research. In Gerrish, K. and Lathlean, J. (Eds. ), The Research Process in Nursing (pp. 303–317). Chichester: John Wiley & Sons. Meyer, J. (2007). Action Research. Qualitative Research in Health Care: Third Edition (pp. 121–131). ISBN 978-1-4051-3512-2. Corazzini, K.N., Anderson, R.A., Bowers, B.J., Chu, C.H., Edvardsson, D., Fagertun, A. … Lepore, M.J. (2019). Toward Common Data Elements for International Research in Long-term Care Homes: Advancing Person-Centered Care. Journal of the American Medical Directors Association. doi:10.1016/j.jamda.2019.01.123 . Devi, R., Meyer, J., Banerjee, J., Goodman, C., Gladman, J.R.F., Dening, T. … Gordon, A.L. (2018). Quality improvement collaborative aiming for Proactive HEAlthcare of Older People in Care Homes (PEACH): a realist evaluation protocol. BMJ open, 8(11). doi:10.1136/bmjopen-2018-023287 . Dudman, J., Meyer, J., Holman, C. and Moyle, W. (2018). Recognition of the complexity facing residential care homes: A practitioner inquiry. Primary Health Care Research and Development, 19(6), pp. 584–590. doi:10.1017/S1463423618000105 . Sharp, C., Dewar, B., Barrie, K. and Meyer, J. (2018). How being appreciative creates change – theory in practice from health and social care in Scotland. Action Research, 16(2), pp. 223–243. doi:10.1177/1476750316684002 . Gordon, A.L., Goodman, C., Davies, S.L., Dening, T., Gage, H., Meyer, J. … Zubair, M. (2018). Optimal healthcare delivery to care homes in the UK: A realist evaluation of what supports effective working to improve healthcare outcomes. Age and Ageing, 47(4), pp. 595–603. doi:10.1093/ageing/afx195 . Goodman, C., Davies, S.L., Gordon, A.L., Dening, T., Gage, H., Meyer, J. … Zubair, M. (2017). Optimal NHS service delivery to care homes: a realist evaluation of the features and mechanisms that support effective working for the continuing care of older people in residential settings. Health Services and Delivery Research, 5(29), pp. 1–204. doi:10.3310/hsdr05290 . Goodman, C., Gordon, A., Davies, S., Mayrhofer, A., Zubair, M., Dening, T. … Meyer, J. (2017). A SYNTHESIS: WHAT WORKS TO DELIVER OPTIMAL HEALTH OUTCOMES FOR UK CARE HOME RESIDENTS. Innovation in Aging, 1(suppl_1), pp. 1054–1054. doi:10.1093/geroni/igx004.3851 . Bowman, C. and Meyer, J. (2017). Care home leadership: Action is needed. Age and Ageing, 46(4), pp. 534–535. doi:10.1093/ageing/afx030 . Dewar, B., Sharp, C., Barrie, K., MacBride, T. and Meyer, J. (2017). Caring Conversation Framework to promote person centred care: synthesising qualitative findings from a multi- phase programme of research. International Journal of Person Centered Medicine, 7(1). doi:10.5750/ijpcm.v7i1.619 . Abbott, S., Birken, M. and Meyer, J. (2017). Assessing the built environment in care homes. Journal of Dementia Care, 25(3), pp. 32–34. Dewar, J., Barrie, K., Sharp, C. and Meyer, J. (2017). Implementation of a Complex Intervention to Support Leadership Development in Nursing Homes: A Multimethod Participatory Study. Journal of Applied Gerontology. doi:10.1177/0733464817705957 . Penney, W., Meyer, J., Cash, P., Clinnick, L. and Martin, L. (2017). Enhancing care for older people living in nursing homes in rural Australia using action learning as a catalyst for change. Action Learning: Research and Practice, 14(1), pp. 62–71. doi:10.1080/14767333.2017.1282635 . Abbott, S., Mary, B. and Meyer, J. (2016). The impact of improved environment in a care home. Journal of Dementia Care, 24(6), pp. 23–25. Evans, D., Price, K. and Meyer, J. (2016). Home Alone With Dementia. SAGE Open, 6(3). doi:10.1177/2158244016664954 . Goodman, C., Dening, T., Gordon, A.L., Davies, S.L., Meyer, J., Martin, F.C. … Zubair, M. (2016). Effective health care for older people living and dying in care homes: A realist review. BMC Health Services Research, 16(1). doi:10.1186/s12913-016-1493-4 . Corazzini, K.N., Meyer, J., McGilton, K.S., Scales, K., McConnell, E.S., Anderson, R.A. … Ekman, I. (2016). Person-centered nursing home care in the United States, United Kingdom, and Sweden: Why building cross-comparative capacity may help us radically rethink nursing home care and the role of the RN. Nordic Journal of Nursing Research, 36(2), pp. 59–61. doi:10.1177/2057158516649145 . McGilton, K.S., Bowers, B.J., Heath, H., Shannon, K., Dellefield, M.E., Prentice, D. … Mueller, C.A. (2016). Recommendations From the International Consortium on Professional Nursing Practice in Long-Term Care Homes. Journal of the American Medical Directors Association, 17(2), pp. 99–103. doi:10.1016/j.jamda.2015.11.001 . Iliffe, S., Davies, S.L., Gordon, A.L., Schneider, J., Dening, T., Bowman, C. … Goodman, C. (2016). Provision of NHS generalist and specialist services to care homes in England: Review of surveys. Primary Health Care Research and Development, 17(2), pp. 122–137. doi:10.1017/S1463423615000250 . Goodman, C., Davies, S.L., Gordon, A.L., Meyer, J., Dening, T., Gladman, J.R.F. … Martin, F.C. (2015). Relationships, expertise, incentives, and governance: Supporting care home residents' access to health care: An interview study from England. Journal of the American Medical Directors Association, 16(5), pp. 427–432. doi:10.1016/j.jamda.2015.01.072 . Meyer, J. and Myatt, J. (2015). ON CARE FOR OLDER PEOPLE: The NHS cannot stand still on social care. The Health service journal, 125(6441), pp. 18–19. Luff, R., Laybourne, A., Ferreira, Z. and Meyer, J. (2015). A guide to research with care homes. Quality in Ageing and Older Adults, 16(4), pp. 186–194. doi:10.1108/QAOA-06-2015-0027 . Bowman, C. and Meyer, J. (2014). Formative Care: Defining the purpose and clinical practice of care for the frail. Journal of the Royal Society of Medicine, 107(3), pp. 95–98. doi:10.1177/0141076813512298 . Goodman, C., Gordon, A.L., Martin, F., Davies, S.L., Iliffe, S., Bowman, C. … Dening, T. (2014). Effective health care for older people resident in care homes: The optimal study protocol for realist review. Systematic Reviews, 3(1). doi:10.1186/2046-4053-3-49 . Gordon, A.L., Goodman, C., Dening, T., Davies, S., Gladman, J.R.F., Bell, B.G. … Victor, C. (2014). The optimal study: Describing the key components of optimal health care delivery to UK care home residents: A research protocol. Journal of the American Medical Directors Association, 15(9), pp. 681–686. doi:10.1016/j.jamda.2014.06.011 . Moore, D.J., Appleby, J., Meyer, J., Myatt, J., Oliver, D. and Ritchie-Campbell, J. (2014). Frail older people improve their care. Pave the way for better elderly care. The Health service journal, 124(6400), pp. 26–29. Elliot, V., Williams, A. and Meyer, J. (2014). Supporting staff to care for people with dementia who experience distress reactions. Nursing Older People, 26(7), pp. 22–26. doi:10.7748/nop.26.7.22.e616 . Nicholson, C., Meyer, J., Flatley, M. and Holman, C. (2013). The experience of living at home with frailty in old age: A psychosocial qualitative study. International Journal of Nursing Studies, 50(9), pp. 1172–1179. doi:10.1016/j.ijnurstu.2012.01.006 . Cooper, J., Meyer, J. and Holman, C. (2013). Advancing knowledge on practice change: linking facilitation to the senses framework. J Clin Nurs, 22(11-12), pp. 1729–1737. doi:10.1111/jocn.12054 . Bridges, J., Nicholson, C., Maben, J., Pope, C., Flatley, M., Wilkinson, C. … Tziggili, M. (2013). Capacity for care: Meta-ethnography of acute care nurses' experiences of the nurse-patient relationship. Journal of Advanced Nursing, 69(4), pp. 760–772. doi:10.1111/jan.12050 . Kirkevold, M., Moyle, W., Wilkinson, C., Meyer, J. and Hauge, S. (2013). Facing the challenge of adapting to a life alone' in old age: the influence of losses. JOURNAL OF ADVANCED NURSING, 69(2), pp. 394–403. doi:10.1111/j.1365-2648.2012.06018.x . McCormack, B., Roberts, T., Meyer, J., Morgan, D. and Boscart, V. (2012). Appreciating the 'person' in long-term care. Int J Older People Nurs, 7(4), pp. 284–294. doi:10.1111/j.1748-3743.2012.00342.x . McMahon, A. and Meyer, J. (2012). Editorial. Journal of Research in Nursing, 17(2), pp. 97–99. doi:10.1177/1744987112440076 . Nicholson, C., Meyer, J., Flatley, M., Holman, C. and Lowton, K. (2012). Living on the margin: Understanding the experience of living and dying with frailty in old age. Social Science and Medicine. Dudman, J. and Meyer, J. (2012). Understanding residential home issues to meet health-care needs. British Journal of Community Nursing, 17(9), pp. 434–438. doi:10.12968/bjcn.2012.17.9.434 . McMahon, A. and Meyer, J. (2012). Editorial. Journal of Research in Nursing, 17(1), pp. 3–5. doi:10.1177/1744987111433619 . Meyer, J. (2011). Editorial. Journal of Research in Nursing, 16(5), pp. 393–396. doi:10.1177/1744987111419894 . Kilbride, C., Perry, L., Flatley, M., Turner, E. and Meyer, J. (2011). Developing theory and practice: Creation of a Community of Practice through Action Research produced excellence in stroke care. JOURNAL OF INTERPROFESSIONAL CARE, 25(2), pp. 91–97. doi:10.3109/13561820.2010.483024 . McMahon, A. and Meyer, J. (2011). Editorial. Journal of Research in Nursing, 16(2), pp. 99–100. doi:10.1177/1744987111398839 . Meyer, J. (2011). Review: Nursing home culture, teamwork and culture change. Journal of Research in Nursing, 16(1), pp. 51–52. doi:10.1177/1744987110366189 . Meyer, J. (2010). Quality of life in care homes for older people: reflections on international result-oriented indicators. JOURNAL OF CLINICAL NURSING, 19, pp. 117–117. Nicholson, C., Flatley, M., Wilkinson, C., Meyer, J., Dale, P. and Wessel, L. (2010). Everybody matters 2: promoting dignity in acute care through effective communication. Nursing times, 106(21), pp. 12–14. Nicholson, C., Flatley, M., Wilkinson, C., Meyer, J., Dale, P. and Wessel, L. (2010). Everybody matters. 1: How getting to know your patients helps to promote dignified care. Nursing times, 106(20), pp. 12–14. Noble, H., Meyer, P.J., Bridge, D.J., Johnson, D.B. and Kelly, D.D. (2010). Exploring symptoms in patients managed without dialysis: A qualitative research study. Journal of Renal Care, 36(1), pp. 9–15. doi:10.1111/j.1755-6686.2010.00140.x . Bridges, J., Flatley, M. and Meyer, J. (2010). Older people's and relatives' experiences in acute care settings: systematic review and synthesis of qualitative studies. International journal of nursing studies, 47(1), pp. 89–107. doi:10.1016/j.ijnurstu.2009.09.009 . Meyer, J. (2010). Promoting dignity, respect and compassionate care. Journal of Research in Nursing, 15(1), pp. 69–73. doi:10.1177/1744987109353687 . Bridges, J., Flatley, M. and Meyer, J. (2009). Guidance on best practice in acute care. Nurs Older People, 21(10), pp. 18–21. doi:10.7748/nop2009.12.21.10.18.c7405 . Noble, H., Bridges, J. and Meyer, J. (2009). Using practitioner research to study vulnerable patients. European Journal of Palliative Care, 16(6), pp. 270–273. Meyer, J. (2009). Comparison of two tools developed to assess the needs of older people with complex care needs. Journal of Research in Nursing, 14(5), pp. 437–438. doi:10.1177/1744987108096973 . Butterworth, T., Sellman, D., Meyer, J., Bishop, V. and Freshwater, D. (2009). Breakfast debate: RCN international research conference, cardiff, march 2009. Journal of Research in Nursing, 14(4), pp. 371–381. doi:10.1177/1744987109106725 . Noble, H., Meyer, J., Bridges, J., Kelly, D. and Johnson, B. (2009). Reasons Renal Patients Give for Deciding Not to Dialyze: A Prospective Qualitative Interview Study. DIALYSIS & TRANSPLANTATION, 38(3), p. 82. doi:10.1002/dat.20288 . Cooper, J., Levington, A., Abbott, S. and Meyer, J. (2009). Partnerships for skills training in the care home sector. Primary Health Care Research and Development, 10(4), pp. 284–289. doi:10.1017/S146342360999020X . Meyer, J. and Owen, T. (2008). Calling for an international dialogue on quality of life in care homes. International Journal of Older People Nursing, 3(4), pp. 291–294. doi:10.1111/j.1748-3743.2008.00144.x . Owen, T., Meyer, J., Bentley, J., Heath, H. and Goodman, C. (2008). Better partnership between care homes and the NHS: Findings from theMy Home Lifeprogramme. Journal of Care Services Management, 3(1), pp. 96–106. doi:10.1179/csm.2008.3.1.96 . Noble, H., Meyer, J., Bridges, J., Kelly, D. and Johnson, B. (2008). Patient experience of dialysis refusal or withdrawal - A review of the literature. Journal of Renal Care, 34(2), pp. 94–100. doi:10.1111/j.1755-6686.2008.00017.x . Meyer, J. (2008). Review: The role of education and training in achieving change in care homes: A literature review. Journal of Research in Nursing, 13(5), pp. 434–435. doi:10.1177/1744987108097111 . Meyer, J. and Owen, T. (2007). Guest Editorial: My home life programme. International Journal of Older People Nursing, 2(4), pp. 239–240. doi:10.1111/j.1748-3743.2007.00098.x . Noble, H., Meyer, J. and Bridges, J. (2007). Decision-making for renal patients at the end of life. European Journal of Palliative Care, 14(5), pp. 204–207. Owen, T. and Meyer, J. (2007). My Home Life: A new vision for care home practice. Journal of Dementia Care, 15(5), pp. 28–30. Bridges, J., Fitzgerald, L. and Meyer, J. (2007). New workforce roles in health care: Exploring the longer-term journey of organisational innovations. Journal of Health, Organisation and Management, 21(4-5), pp. 381–392. doi:10.1108/14777260710778916 . Bridges, J. and Meyer, J. (2007). Exploring the effectiveness of action research as a tool for organizational change in health care. Journal of Research in Nursing, 12(4), pp. 389–399. doi:10.1177/1744987107078635 . Buchanan, D., Caldwell, R., Meyer, J., Storey, J. and Wainwright, C. (2007). Leadership transmission: A muddled metaphor? Journal of Health, Organisation and Management, 21(3), pp. 246–258. doi:10.1108/14777260710751726 . Meyer, J. (2007). Nursing older people. AGEING & SOCIETY, 27, pp. 314–315. doi:10.1017/S0144686X06265723 . Bridges, J. and Meyer, J. (2007). Policy on new workforce roles: A discussion paper. International Journal of Nursing Studies, 44(4), pp. 635–644. doi:10.1016/j.ijnurstu.2006.08.008 . Meyer, J., Heath, H., Holman, C. and Owen, T. (2006). Moving from victim blaming to an appreciative inquiry: Exploring quality of life in care homes. Quality in Ageing and Older Adults, 7(4), pp. 27–36. doi:10.1108/14717794200600025 . Holman, C., Meyer, J. and Davenhill, R. (2006). Psychoanalytically informed research in an NHS continuing care unit for older people: Exploring and developing staff's work with complex loss and grief. JOURNAL OF SOCIAL WORK PRACTICE, 20(3), pp. 315–328. doi:10.1080/02650530600931872 . Eyers, I., Nolan, M., Meyer, J., Reed, J. and Knibb, W. (2006). Editorial: Transitions in care homes meeting the demands of the 21st century. Quality in Ageing and Older Adults, 7(3), pp. 2–4. doi:10.1108/14717794200600014 . Abbott, S., Meyer, J., Bentley, J. and Lanceley, A. (2006). Patient Advice and Liaison Services: Strengthening the voices of individual service users in health-care organizations. Health Expectations, 9(2), pp. 138–147. doi:10.1111/j.1369-7625.2006.00384.x . Abbott, S., Meyer, J., Bentley, J. and Lanceley, A. (2006). Patient Advice and Liaison Services: strengthening the voices of individual service users in health care organisations. Health Expectations, 9(2), pp. 1–10. Meyer, J. (2006). Review: Developing a model of participatory research involving researchers, practitioners, older people and their family carers: An international collaboration. Journal of Research in Nursing, 11(4), pp. 343–344. doi:10.1177/1744987106065828 . Buchanan, D., Abbott, S., Bentley, J., Lanceley, A. and Meyer, J. (2005). Let's be PALS: User-driven organizational change in healthcare. British Journal of Management, 16(4), pp. 315–328. doi:10.1111/j.1467-8551.2005.00462.x . Abbott, S., Meyer, J., Copperman, J., Bentley, J. and Lanceley, A. (2005). Quality criteria for patient advice and liaison services: what do patients and the public want? Health Expect, 8(2), pp. 126–137. doi:10.1111/j.1369-7625.2005.00321.x . Bridges, J., Meyer, J., Dethick, L. and Griffiths, P. (2005). Older people in accident and emergency: Implications for UK policy and practice. Reviews in Clinical Gerontology, 14(1), pp. 15–24. doi:10.1017/S0959259804001236 . Bentley, J., Abbott, S., Meyer, J. and Lanceley, A. (2005). Horizontal or Vertical Support: Dilemmas for Patient Advice and Liaison Services in the NHS. Public Policy and Administration, 20(2), pp. 54–66. doi:10.1177/095207670502000204 . Spilsbury, K. and Meyer, J. (2004). Use, misuse and non-use of health care assistants: Understanding the work of health care assistants in a hospital setting. Journal of Nursing Management, 12(6), pp. 411–418. doi:10.1111/j.1365-2834.2004.00515.x . Bentley, J. and Meyer, J. (2004). Repeat attendance by older people at accident and emergency departments. JOURNAL OF ADVANCED NURSING, 48(2), pp. 149–156. doi:10.1111/j.1365-2648.2004.03182.x . Meyer, J. and Sturdy, D. (2004). Exploring the future of gerontological nursing outcomes. JOURNAL OF CLINICAL NURSING, 13(6B), pp. 128–134. doi:10.1111/j.1365-2702.2004.01053.x . Meyer, J. and Sturdy, D. (2004). Exploring the future of gerontological nursing outcomes. Journal of Clinical Nursing, 13(6 B), pp. 128–134. Abbott, S., Bentley, J., Lanceley, A. and Meyer, J. (2003). Can GPs and PALS be friends? The British journal of general practice : the journal of the Royal College of General Practitioners, 53(495), pp. 818–819. Bridges, J., Meyer, J., Glynn, M., Bentley, J. and Reeves, S. (2003). Interprofessional care co-ordinators: the benefits and tensions associated with a new role in UK acute health care. INTERNATIONAL JOURNAL OF NURSING STUDIES, 40(6), pp. 599–607. doi:10.1016/S0020-7489(03)00040-3 . Reeves, S., Lewin, S., Meyer, J. and Glynn, M. (2003). Evaluating the introduction of ward-based medical teams on collaboration and patient care. Journal of Interprofessional Care, 17(1), pp. 109–110. doi:10.1080/1356182021000044184 . Westhead, H. and Meyer, J. (2003). An ethics committee reflects; and research in the place where you work--some responses. Bulletin of medical ethics, (188). Meyer, J. (2003). Questioning design and method: Exploring the value of action research in relation to R&D in primary care. Primary Health Care Research and Development, 4(2), pp. 99–108. doi:10.1191/1463423603pc138oa . Bentley, J., Meyer, J. and Kafetz, K. (2001). Assessing the outcomes of day hospital care for older people: A review of the literature. Quality in Ageing and Older Adults, 2(4), pp. 33–41. doi:10.1108/14717794200100027 . Spilsbury, K. and Meyer, J. (2001). Defining the nursing contribution to patient outcome: lessons from a review of the literature examining nursing outcomes, skill mix and changing roles. JOURNAL OF CLINICAL NURSING, 10(1), pp. 3–14. doi:10.1046/j.1365-2702.2001.00423.x . Bridges, J., Meyer, J., Smith, J. and Carter, C. (2001). Using action research: an introduction. Nursing times, 97(2), pp. 30–31. Bridges, J., Smith, J., Meyer, J. and Carter, C. (2001). Meeting the needs of older people in rehabilitation care. Nursing times, 97(3), pp. 33–34. Meyer, J. (2000). Evaluating action research. Age and Ageing, 29(SUPPL. 2), pp. 8–10. Bridges, J., Cotter, A., Meyer, J. and Salvage, A.V. (2000). The progress of older people placed during the first year of the 1996 continuing care guidance. HEALTH & SOCIAL CARE IN THE COMMUNITY, 8(2), pp. 147–150. doi:10.1046/j.1365-2524.2000.00220.x . Meyer, J. (2000). Qualitative research in health care - Using qualitative methods in health related action research. BMJ-BRITISH MEDICAL JOURNAL, 320(7228), pp. 178–181. doi:10.1136/bmj.320.7228.178 . Bridges, J., Meyer, J. and Spilsbury, K. (2000). Organisation of care for older people in A&E. Emergency nurse : the journal of the RCN Accident and Emergency Nursing Association, 8(3), pp. 22–26. doi:10.7748/en2000.06.8.3.22.c1323 . Bridges, J., Meyer, J., McMahon, K., Bentley, J. and Winter, J. (2000). A health visitor for older people in an accident and emergency department. British journal of community nursing, 5(2), pp. 75–80. doi:10.12968/bjcn.2000.5.2.7167 . Hariri, S., Goodyer, L.I., Meyer, J. and Anderson, C. (2000). Assessment of a touch-screen health promotion system in independent community pharmacies. Health Education Journal, 59(1), pp. 99–107. doi:10.1177/001789690005900109 . Bridges, J., Meyer, J. and Barnes, L. (2000). Specialising in older people. Nursing times, 96(30), p. 42. Meyer, J., Bridges, J. and Spilsbury, K. (1999). Caring for older people in acute settings: Lessons learned from an action research study in accident and emergency. Journal of Research in Nursing, 4(5), pp. 327–339. doi:10.1177/136140969900400503 . Spilsbury, K., Meyer, J., Bridges, J. and Holman, C. (1999). Older adults' experiences of A&E care. Emergency nurse : the journal of the RCN Accident and Emergency Nursing Association, 7(6), pp. 24–31. doi:10.7748/en1999.10.7.6.24.c1296 . Reeves, S., Meyer, J., Glynn, M. and Bridges, J. (1999). Interprofessional co-ordination of health teams in an acute service: Developing a new role. Journal of Interprofessional Care, 13(4), pp. 425–426. doi:10.3109/13561829909010387 . Bridges, J., Meyer, J., Davidson, D., Harris, J. and Glynn, M. (1999). Hospital discharge. Smooth passage. The Health service journal, 109(5659), pp. 24–25. Cotter, A., Meyer, J. and Roberts, S. (1998). Humanity or bureaucracy? the transition from hospital to long-term continuing institutional care. Journal of Research in Nursing, 3(4), pp. 247–256. doi:10.1177/136140969800300403 . Meyer, J. (1998). Review: Patient-sensitive treatment decision-making? preferences and perceptions in a sample of renal patients. Journal of Research in Nursing, 3(5), p. 373. doi:10.1177/136140969800300507 . Cotter, A., Meyer, J. and Roberts, S. (1998). The transition from hospital to long-term institutional care. Nursing times, 94(34), pp. 54–56. Cotter, A.J.E., Salvage, A.V., Meyer, J.E. and Bridges, J. (1998). Measuring outcomes of long-term care for older people. Reviews in Clinical Gerontology, 8(3), pp. 257–268. doi:10.1017/S0959259898008387 . Meyer, J. and Batehup, L. (1997). Action research in health-care practice: Nature, present concerns and future possibilities. Journal of Research in Nursing, 2(3), pp. 175–184. doi:10.1177/136140969700200304 . Meyer, J. (1997). 'Having your say': Self-advocacy and individuals experiencing mental ill-health. Journal of Research in Nursing, 2(5), p. 390. doi:10.1177/136140969700200513 . Meyer, J. (1997). Review: Triangulation of data collection: Practicalities and problems in a study of informal carers of terminally ill cancer patients. Journal of Research in Nursing, 2(2), pp. 117–118. doi:10.1177/136140969700200207 . Hariri, S., Goodyer, L., Anderson, C. and Meyer, J. (1997). CardioPharm: Interactive multimedia health promotion software for community pharmacy. Nutrition & Food Science, 97(2), pp. 71–75. doi:10.1108/00346659710161876 . Nichols, R., Meyer, J., Batehup, L. and Waterman, H. (1997). Promoting action research in healthcare settings. Nursing standard (Royal College of Nursing (Great Britain) : 1987), 11(40), pp. 36–38. doi:10.7748/ns1997.06.11.40.36.c2462 . Goodman, C., Sharpe, R., Russell, C., Meyer, J., Gordon, A.L., Dening, T. … Bunn, F. (2017). Care home readiness: a rapid review and consensus workshops on how organisational context affects care home engagement with health care innovation..
Moore, J., Appleby, J., Meyer, J., Myatt, J., Oliver, D., Ritchie-Campbell, J. … Cowper, A. (2014). HSJ/Serco Commission on Hospital Care for Frail Older People. Health Service Journal. Owen, T. and Meyer, J.E. (2012). My Home Life: promoting quality of life in care homes. York, UK: Joseph Rowntree Foundation. ISBN 978-1-85935-937-2. Luff, R., Ferreira, Z. and Meyer, J.E. (2011). NIHR SSCR Methods Review 8: Care Homes. London, UK: National Institute for Health Research. Owen, T. and Meyer, J.E. (2009). Minimising the Use of ‘Restraint’ in Care Homes: Challenges, Dilemmas and Positive approaches. London, UK: Social Care Institute for Excellence. European Centre for Social Welfare Policy and Research, , E-Qalin GmbH, , Technische Universität Dortmund Forschungsgesellschaft für Gerontologie, , Medizinischer Dienst des Spitzenverbandes Bund der Krankenkassen, , Ministry of Health, Equalities, Care and Ageing of the State of North Rhine-Westphalia, , City University, … Vilans Knowledge Centre for Long-Term Care, Measuring Progress: Indicators for care homes. European Centre for Social Welfare Policy and Research. Ashcroft, J., Arnold, S., Jones, R., Kelly, D., Meyer, J., Patel, C. … Pelham, C. A vision for care fit for the twenty-first century: Commission on Residential Care. DEMOS. Would greater involvement improve the quality of older people's homes? London (2012). Value of the Registered Nurse Role in Long-Term Care Scientific Meeting. Toronto (2011). Who are we here for? Re-orienting the health workforce to respond to older people. London (2010).